After a successful album campaign for 'From time to time', a collection of Paul's hits since he went solo, he recorded 'Both sides now' with those Irish folk giants Clannad. The track was created for the motion picture 'Switch'. The single wasn't very successful; it peaked at number 74 in the UK singles chart. At the same time, it was the first time that Clannad appeared in the Canadian singles chart. No wonder: 'Both sides now' was a cover of a song by their beloved Joni Mitchell. The B-side of this single features 'Broken man', a track taken from Paul's debut album 'No parlez'. Clannad wrote the music for the soundtrack of the television series 'Robin Hood', broadcast by the BBC in the mid-Eighties and released on the album 'Legend' by the band. 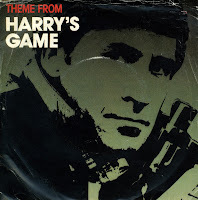 This single was the second one to be taken from that album, featuring the previous single 'Robin (The hooded man)' on the B-side, as well as the very successful theme from another television series, 'Harry's game' from 1982. Those two songs reached number 42 and number 5 respectively in the UK singles chart, but this single sank without a trace. 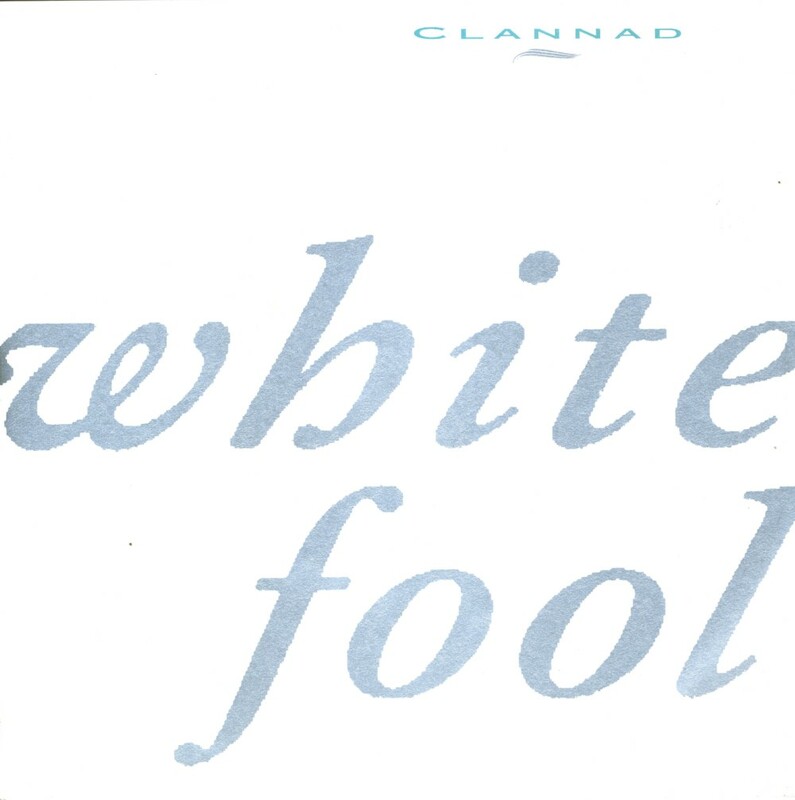 'White fool' was released as the third single from Clannad's 1987 album 'Sirius'. I've never actually seen this single, but during the record fair I bought this copy, I suddenly saw several copies in different stands. Sometimes it's as if a record company decides to give out copies from decades ago. The single was not a commercial success, which may be attributed to the rather sketchy nature of this particular track. 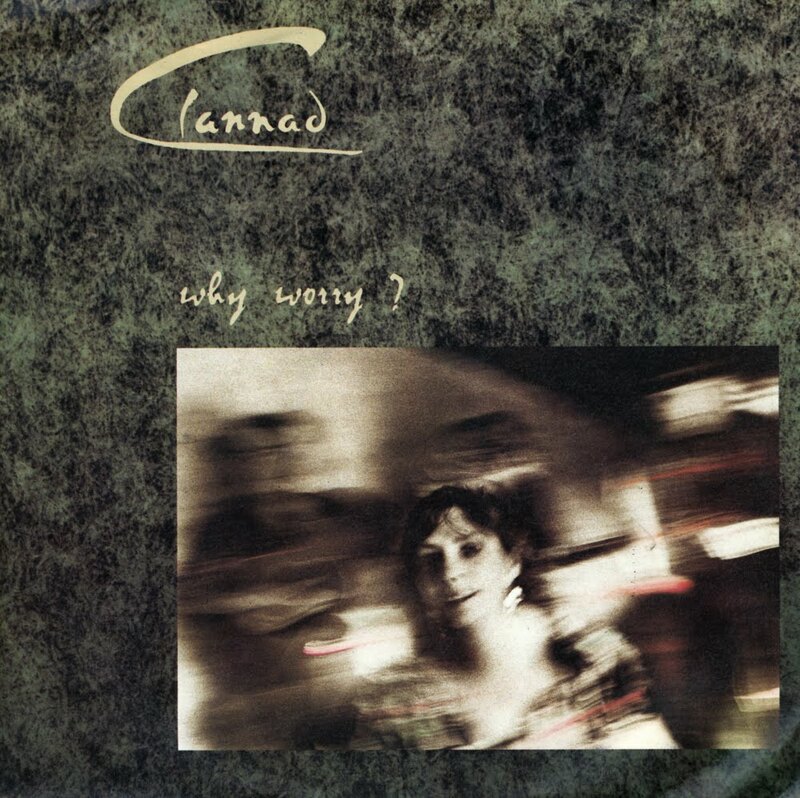 Clannad started the Nineties with a slightly livelier sound. 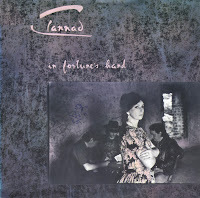 The single 'In fortune's hand', taken from their 1990 album 'Anam', was a full band effort, using more instrumentation than on previous singles. This did not mean that commercial success awaited them: the single did not chart. 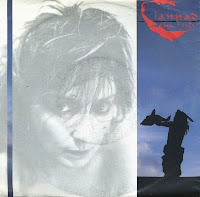 'Hourglass' and 'Theme from Harry's Game' were released as a double A-side single by Clanad in 1989 to promote the greatest hits album 'Pastpresent'. 'Hourglass' was a new track, whereas 'Theme from Harry's Game' was (and still is) Clannad's biggest hit to date. 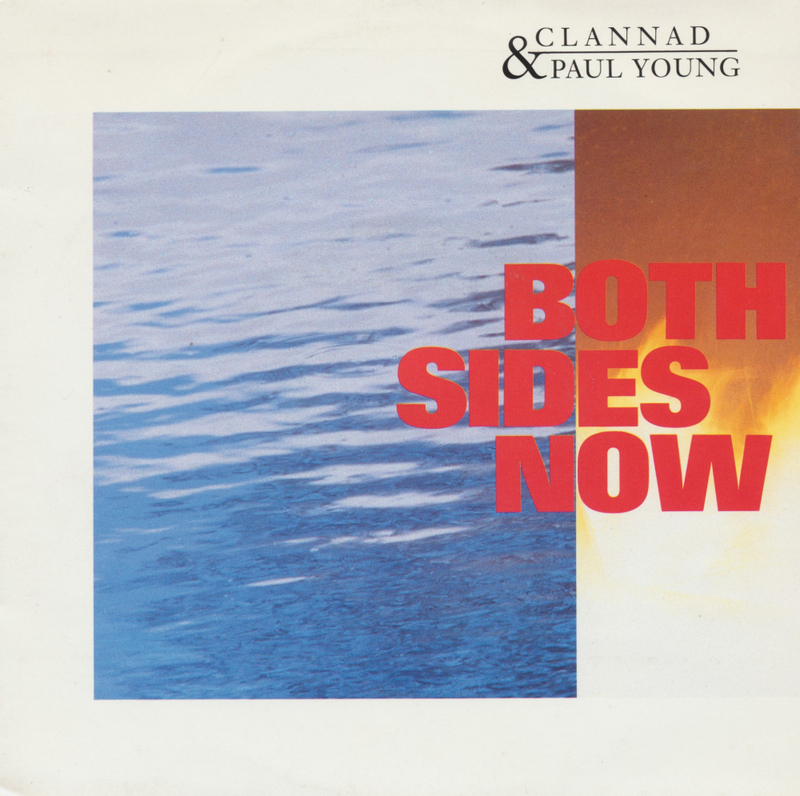 While 'Pastpresent' became Clannad's best selling album, reaching number 5 in the UK albums chart, this single did not chart at all. 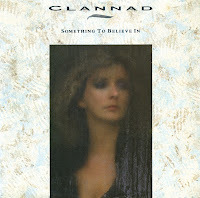 Clannad collaborated with American singer/songwriter Bruce Hornsby to record 'Something to believe in'. He played piano and accordion on the track and also sang along on the track (his voice is clearly audible in the chorus). 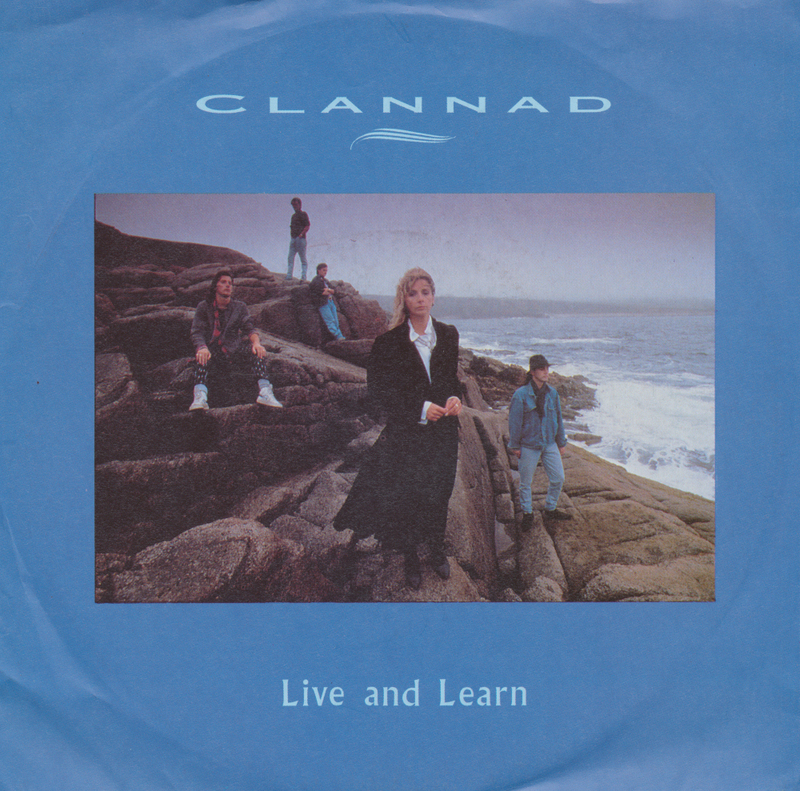 The track was released as the first single from Clannad's 1987 album 'Sirius' but failed to chart. Clannad may well have made the best track of their career with 'In a lifetime'. By bringing in Bono from U2, they managed to breathe some extra life into their music, and that was much needed, since most of their material is so, well, calm. The passionate vocals by Bono work wonders with the band's beautiful melodies. 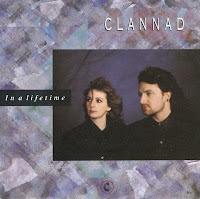 'In a lifetime' was the first single release from Clannad's eighth studio album 'Macalla' (1985). It reached number 20 in the UK singles chart and number 11 in the Dutch Top 40. When it was re-released in the UK in 1989, the single peaked at number 17. 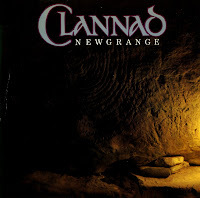 Clannad recorded 'The hunter' as a new track on their 1989 compilation album 'Past present'. It is a re-worked version of the song 'Herne' from their 1984 album 'Legend'. The track was recorded in Peter Gabriel's Real World studios in Bath. The single did not chart in the UK, unlike the album 'Past present', which reached number 5 in the UK albums chart. 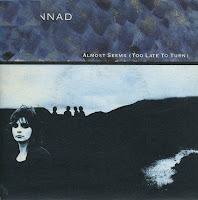 'Almost seems (too late to turn)' is a track on Clannad's 1985 album 'Macalla' and, to me, a standout track on their compilation album 'Pastpresent' released a few years later. The song was used as the official Children in Need charity single for 1985 in the UK. However, the single only reached the number 80 position in the UK singles chart. My copy of the single was used for promotion and still has a sticker 'Not for resale' on the label. 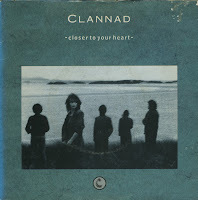 With less folk influences, a clear rhythm and intelligable lyrics, 'Closer to your heart' was widely considered to be Clannad's first 'pop' single. The single was taken from the band's 1985 album 'Macalla'. Amazingly, this great song did not chart in any territory. My copy of the single bears a sticker with the text 'Not for resale' on the back. 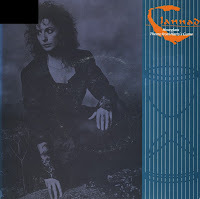 I bought the Clannad compilation album 'Pastpresent' somewhere around 1990 and it was through that cd that I discovered the interesting back catalogue of this Irish band. I went through a phase of buying their singles whenever I came across them - and I still will, I think. 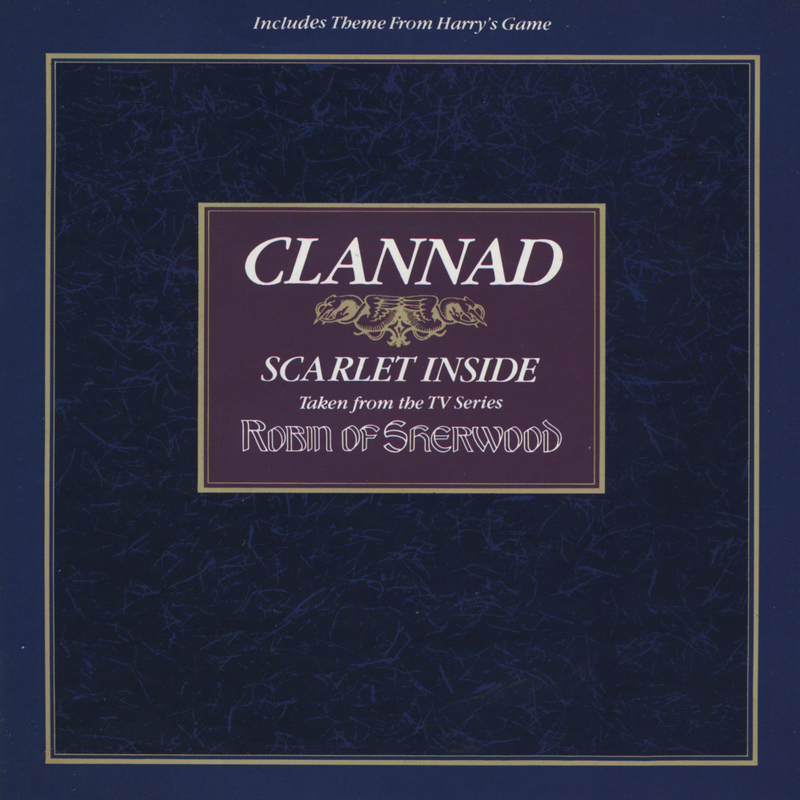 'Robin (the hooded man)' was the only single to be lifted off Clannad's 1984 album 'Legend'. 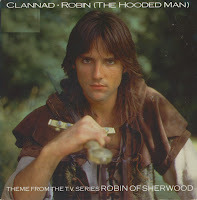 The music of that album was composed for the ITV drama series 'Robin of Sherwood', starring Michael Praed, who appears on the cover of this single. It reached number 42 in the UK singles chart. Newgrange (Irish: Sí an Bhrú) is a passage tomb of the Brú na Bóinne complex in County Louth. It was originally built between c. 5500 and 2900 BC. It is one of the most famous prehistoric sites in the world, and indeed the most famous of all Irish prehistoric sites. 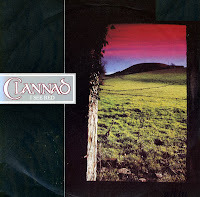 It is also the title of this Clannad song, released as the third single from their 1982 album 'Magical ring'. It reached number 65 in the UK singles chart during a one week chart run. 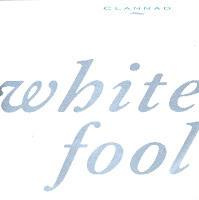 Clannad consists of siblings Máire and Ciarán Brennan and their twin uncles Noel and Pádraig Duggan. They started making music together in 1970, initially having only some success in Ireland, where the band was based. In 1981, the other sibling Enya left the band to pursue a successful, if somewhat monotonous solo career. 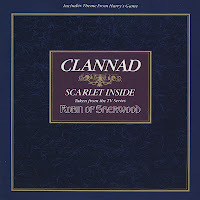 A year later, Clannad recorded the song that would launch their international career: 'Theme from Harry's Game', and the accompanying album 'Magical ring'. The album was on the UK album charts for over six months, earning the group their first gold record award. The single 'I see red' was released as the follow-up to 'Harry's Game', but this single, although it was an appealing song as well, did not chart. This blog is not moving as fast as usual because of a flu. Not the Mexican variety, mind you, but a common summer flu. Still, all a person can do is sleep and wait till it's over. And listen to some calm and soothing music, like Clannad's Theme from Harry's Game. It was the song that launched the Irish band into fame all over Europe. Harry's Game was a British television miniseries for ITV in 1982. The lyrics of this track are in the Irish language. The chorus 'Fol lol the doh fol the day, Fol the doh fol the day', is ancient Irish mouth-music which is common in traditional music. The single peaked at number 5 in the UK singles chart and number 9 in the Dutch Top 40.